Apple's friendly assistant is now making the leap onto the big screen, as it's revealed that Siri will grace the new iPad. A feature on the iPhone 4S, Siri has become a popular tool for many iPhone users, as well as a point of ridicule for those using other platforms. Apple announced a host of new features for the assistant at WWDC, including sports, dining and app launching abilities, plus the bigger news of local search being available worldwide. Owners of the new iPad 3 will be glad to hear that the assistant will now be available on their tablet, thanks to the upcoming iOS 6 update, which itself brings a even more new features. 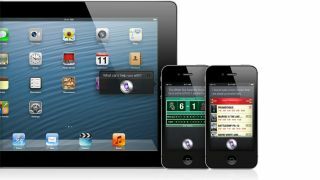 There's currently no word on whether Siri will make it to the iPad 2, which Apple has confirmed will also receive the iOS 6 update, but we'll update this article when we know for sure.